The Nevada Wildlife Commission voted to ban hunting with .50 BMG cartridges and electronic sighting systems, such as the Tracking Point system (agenda here). “The third change would make it unlawful to hunt a big game mammal with a rifle using a centerfire cartridge larger than .50 caliber or with a case length longer than 3 inches. The amendment would also make it unlawful to hunt a big game mammal with any firearm equipped with any sighting system using a computer or electronically controlled firing mechanism. .50 BMG stands for “Browning Machine Gun” as it was invented during World War I by John M. Browning as a cartridge for his new anti-tank machine gun, the M2. Electronic sighting systems assist the shooter in determining range, ballistics, and releasing the shot at the optimum moment. Commissioners did admit they received a large volume of emails, but that they were choosing to disregard them. 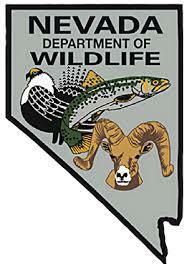 The chief game warden dismissed them as either coming from out of state or coming from people who don’t hunt, claiming he “looked up the names.” Nevada Carry contributor Vern reminded the chief that Nevada sells hunting tags to out of state residents and that hunting was a right that should be preserved for future generations. Additionally, non-hunters are still entitled to an opinion on state regulations. On the surface, a half-inch round may seem like overkill, but to someone knowledgeable about firearms, it’s not. On the contrary, the ban is arbitrary, captious, and likely ultimately related to ulterior motives of gun control. One commissioner’s scientific defense consisted of reading from the Wikipedia page “.50 BMG.” A well-informed decision does not involve Wikipedia. Eliminating the .50 BMG as a hunting cartridge removes it from the category of cartridges used for “sporting purposes.” This has sinister implications as once a cartridge’s “sporting purpose” is removed, it can no longer be imported and is a ripe target for anti-gunners who love to claim that the Second Amendment is about hunting. Objections to .50 caliber rifles in particular have no veracity Vern told us. He pointed out that there are only two plausible arguments in support of the ban. 1, to prohibit long-range shots that circumvent the “sporting” chase of the animal, and 2, the large wound channels that the .50 caliber rifle creates, causing a potential waste of meat. “Some would argue that making really long range shots is “unfair” or “unsporting”,” Vern said. “I beg to differ. Making a 1000 yard shot, then hiking in to field dress it is quite sporting. Especially now that much of the habitat is getting closed to vehicular traffic.” .338 Super Lapua and a few other non-banned cartridges are capable of the extremely long distance shots that .50 caliber is known for. In fact, some of the longest sniper kills in history have been made with .338 caliber rifles. The smaller .30 caliber round may not instantly kill the elk, allowing it to run off and die hidden from the hunter, whereas heavier rounds can immediately or very quickly incapacitate the game. A smaller bullet with less mass, especially after traveling hundreds of yards, will have lost velocity and thus reducing its lethality. A .50 caliber cartridge is designed for extreme long-range shooting and preserves its velocity. “Sporting purposes” is language taken from the 1968 Gun Control Act, generally applicable to imported weapons. Self-defense or militia weapon considerations do not fall under the guise of “sporting purposes,” which was intended to mean hunting or competitive target shooting (as then practiced—not today’s .50 caliber long-range shooting competitions). Interestingly, just before the 1968 act was proposed by Senator Thomas Dodd (CT), the senator requested the Library of Congress translate the Nazi weapons law from 1938, which curiously also has a “sporting purposes” provision. Commissioners are appointed by the governor. In response, grassroots are already organizing to petition next year’s legislature to strip the commission of its powers and return rulemaking authority to the legislature. Former Clark County Sheriff Bill Young, a proud supporter of gun control (including blue cards, Ballot Question 1, and the Bloomberg gun control groups), needs his political career put out to pasture. Unfortunately, the NDOW commissioners abused their discretion despite obvious public opposition to enact needless regulations and do not deserve to be trusted with that power. The Las Vegas Sun’s The Sunday (p. 20) interviewed Jim Dunlap, a police association president who is the current poster boy (literally, he’s on the flyers) for the Bloomberg backed group (Safe Nevada, the head of the snake in this case) supporting Ballot Question 1. Ballot Question 1, also called universal background checks, would ban private gun sales and transfers, criminalizing even lending a hunting rifle to a trusted friend. Dunlap supports taking away your gun rights and does a piss poor job of supporting his argument. We find him laughably stupid. Here are some of his comments from his interview and our rebuttals. If this saves one life, doesn’t it make sense? Isn’t that what laws are for, public safety? No supporter of universal background checks has ever shown that banning private gun sales has ever saved a life. California and New York have such systems and yet violence still plagues urban areas there. Another law will not stop crime, nor deter criminals. If background checks on sales of dangerous items makes sense, why don’t we prohibit habitual drunk drivers from driving cars? Why don’t we require that every time you sell a car, let a friend borrow your car, or let your friend work on your car, you have to meet the person at the DMV to get a background check to make sure they aren’t a dangerous drunk driver? As easily searchable information shows, Dunlap is a traffic cop who well knows the danger of cars. Does he support mandating helmets for everyone riding in a car? Mandatory speed limit restrictions? Breathalyzers in cars? Dropping the DUI limit to .05 BAC? If it saves one life, doesn’t it make sense? No one has shown any benefit to these laws and in the absence of any significant gain, sacrificing freedom with the real risk to gun rights that increased gun control brings, this law is not worth it. Let’s say someone, acting in anger, tries to get a firearm. They can’t go to a dealer because they’d have to undergo a background check, so they go to the internet or a gun show and get a weapon relatively quickly, then go back and do a heinous crime. This argument is two-fold, indicating a belief on Dunlap’s part in waiting periods. It’s highly likely that he supported the old Clark County “blue card” system with its three-day waiting period. First, statistics have proven that waiting periods don’t work to reduce gun deaths. Murder and suicide are largely impulsive acts uninfluenced by the availability of weapons. “Relatively quickly” is misleading. Gun shows may seem like they happen every weekend, but they don’t. One who wanted to commit murder with a gun, mid-week, would have to wait until the magic weekend with a gun show, drive there, pay to get in, find a private seller (rarer and rarer at gun shows these days), and buy a gun, then drive back and commit the crime. Same with buying a gun from an internet classified ad; hope someone responds, drive, meet, exchange, then drive back and commit the crime. And how about the multitude of now-criminals who obtained guns legally after passing a background check? This law will do nothing to stop crimes with guns already legally owned by future criminals. The criminal element, the people who are involved in the black market, they sell only to people they know. That’s why cops use confidential informants to buy drugs. And even within those organizations in the drug trade, and when you have a confidential informant, trying to purchase a gun is even more of a challenge, because use or possession of a firearm with those crimes comes with heightened penalties. So how do you find someone to buy a gun from on the black market? If you did find someone dealing guns illegally and said, “Hey, you got a gun I can buy?” They’d probably say, “Are you a cop?” So that just won’t happen. People see it on TV shows, but it doesn’t happen. This is an argument to vote no! Dunlap basically just denied that criminals and drug dealers use the “black market” of gun shows and the Internet...which he fretted over earlier. The answer is in response to a question that those who can't go to dealers will turn to the "black market," which Dunlap says is is make-believe. So here Dunlap just admitted that criminals 1, buy/sell from people they know; and 2, it’s hard for cops to buy guns in stings. He admits that police can’t easily enforce existing laws on illegal gun sales because criminals are savvy to undercover busts. Um, so how are police supposed to detect and arrest people who are buying amongst themselves secretly, taking precautions to avoid being caught by the police? Okay, I guess what Dunlap is trying to say is that some random person won't go to the mysterious "black market", approach a shady looking gun leaning against a lamp post and ask to buy a gun. Dunlap apparently doesn't know how the "black market" works. Just like with a lot of drug deals, the buyer already knows the seller or is part of a network that can direct the sale without the help of a bazaar or directory (gun show and Internet, respectively). The "black market" is a series of connections and knowing the "guy who can get things" or a guy who knows him. Think of Morgan Freeman's Red from The Shawshank Redemption. Now, for some random guy who wants a gun but doesn't know anyone, all he has to do is still place an ad. I'm sure he's going to be willing to find someone who doesn't care about the law (either maliciously or otherwise) who will sell anyway. Not to mention the tons of people who will have no clue that this law passed. to officers rooting them out). Are we going to go door to door and ask, “Did you sell a gun to someone who shouldn’t have one?” No, we’re not, anymore than we go door to door asking, “Are you selling illegal drugs?” If people report to us that guns were sold illegally, we’d respond. And as with any situation, we prioritize our calls for service. Who is going to report an illegal gun sale? Washington state only denied 50 dealer background checks in 14 months and no one was arrested. As we have pointed out time after time, the only way to enforce this law is with a sting or a confession. So let's say the Bullfrog County Sheriff gets a phone call that Mr. Joe Blow sold his 1946 Schenectady Arms Co. 16ga shotgun to his neighbor Earl Hogwaller to dispatch some pesky ground squirrels. If neither man confesses, Bullfrog County has to prove that neither man conducted the sale through a dealer and prove that Hogwaller never owned the shotgun all along. As John pointed out, proving a case without a confession is darn near impossible. Democrats, liberals, and statistics all have one thing in common: they’d rather give money and buy what they want rather than honestly try to change minds. If they can lie, bluff, and bluster, they’ll do it. NBC Ch. 4 in Reno has a segment called “Ask Joe” where reporter Joe Hart answers questions from viewers. One viewer asked where the money for Ballot Question 1 was coming from. First, he covered the supporters. Everyone should know now that Michael Bloomberg’s Everytown for Gun Safety is the force behind this across the country. It’s like the aliens in Independence Day: they keep moving from purple state to purple state spending money abusing the initiative process to get uninformed voters to give up their rights. In a stellar, courageous, and detailed investigation, Joe called the spokeshole for the supporters to ask them where the money came from. Conveniently, the spokeshole didn’t tell him that most of the money came from out of state and from very rich donors. Check out the contributor reports here. See if you know any of the names or recognize any addresses. Of course, since being an actual journalist is too hard, Joe never bothered to pull the data from the Secretary of State’s website that would show his emphasis on “2,000 donors of less than $1,000 (to imply it was a grassroots funded measure). Well, maybe he did, but didn’t care. I don’t know what his political ideology or take on Ballot Question 1 is, but his “investigation” sucked. You failed to mention where most of the money came and about the bunches of prominent people who gave $1,000 or more. Gun owners have a huge machine, powered by mindless zombies who throw money at anything they don’t like. It’s a shame that gun owners don’t spend their money to tell other people what they should do and think that sending the NRA $35 a year for a magazine is helping out the cause. Not to mention all those wealthy gun owners and Second Amendment supporters who have been cowed into hiding their support for gun rights. Unfortunately, that means commercials with some guy you’ve never heard of trying to imply law enforcement thinks more unenforceable laws are a good idea. Plus they have the media firmly in their pocket, but it’s nice when we catch “journalists” at their deceitful games. And Joe, it’s okay if you’re biased. Just admit it any at least think objectively, even if your segments really aren’t, but don’t pee on our legs and tell us it’s raining. Misleading and omission of critical facts is lying Joe. Vote No on Ballot Question 1. The Kenny C. Guinn Center for Policy Priorities released a fact sheet on Ballot Question 1, which would ban private gun sales/transfers by requiring all such sales to go through a dealer. This is being marketed as “universal background checks” as all dealer transactions require a background (Brady) check. Unfortunately, most Nevadans don’t realize that the law is confusing, unenforceable, and would unintentionally criminalize innocent behavior. Kenny Guinn, a moderate Republican, was the Governor of Nevada from 1997 to 2007. The Guinn Center describes itself as a “nonprofit, bipartisan, independent research center focused on providing fact-based, relevant, and well-reasoned analysis of critical policy issues facing Nevada and the Intermountain West.” Let’s take a look at some of the claims made in the report, particularly those made by the argument in support of Ballot Question 1. Using all firearm deaths to frame the debate is highly misleading. Such statistics include legal use of firearms (self-defense; police and civilian) and suicides. Suicides should not be counted because firearms have little to nothing to do with the decision to commit suicide. The firearm is merely the method and an absence of firearms does little to reduce suicide rates. Despite having stricter gun control laws, countries with little to no legal access to guns still have high suicide rates as other methods of suicide (hanging, poisoning, jumping) are used. Looking strictly at criminal homicides (subtracting suicides and legal killings), this gives Nevada a score of 3.61 non-suicide gun deaths per 100,000, versus 3.59 nationally, meaning that Nevada has a gun homicide rate slightly above average. Nevadans do not face a significantly higher risk of gun violence than the rest of the United States (especially rural Nevadans). This was from the Law Center to Prevent Gun Violence, an outspoken gun control organization. Various pro-gun sources rank Nevada as among one of the most gun friendly states. An A or an F rating depends wholly on the objectives and the beliefs of the organization rating the state. In the source article, from Bloomberg anti-gun rag The Trace, citing a local Washington news report, states that 3,948 felons were blocked from buying a gun in 2015. The 3,948 number is total gun sales--both from dealers and private sources. There were 50 denials in 14 months, about 3.5 per month. Private gun sale/transfer denials are 1% of the total dealer sale denials. On top of such misleading statistics, “State court records show there have been no prosecutions related to I-594.” How many guns obtained legally or illegally were used in crimes, background checks be damned? If no one is being convicted under the law, then what actual deterrent is it to criminals? The majority of failed background checks do not lead to prosecutions, indeed, they are far from flawless. Many denials are in fact, false positives. John Lott, an economist known for his analysis of studies on guns and violence, points out that there is an “initial false positive rate of roughly 94.2 percent,” (from 2009 statistics). Only 4,154 denials out of 71,010, after review, were determined to be potentially criminal attempts to purchase firearms and only 140 cases were referred to prosecutors and only 77 of those cases were prosecuted at all. That’s roughly one one-hundredth of the total denials that were prosecuted. Only 32 cases resulted in a conviction or guilty plea. The report, in its argument in opposition, does tell the truth that universal background checks are the first step towards gun registration and useless without it. Is the Guinn Center Biased Towards Gun Control and Supporting Yes on One? However, the arguments in support and opposition are grossly disproportionate. The “support” section got a map of national gun deaths while the “opposition” section didn’t get a graphic. Additionally, the article gives no mention of who Nevadans for Background Checks is funded or supported by (Michael Bloomberg and his various astroturf gun control groups). In portraying the initiative as a grassroots response to Gov. Sandoval’s veto of a similar law passed by 2013’s legislature, such information honestly stating the initiative was a strategy modeled on Washington and rolled out to Nevada and Maine is crucial. This isn’t something that Nevada's truly want: it’s being foisted on them with lies, out-of-state money, and an anti-gun agenda. Anti-gun bias factor: 3, report tells the truth, but tells it slant. Vote no on Ballot Question 1--no more gun control.